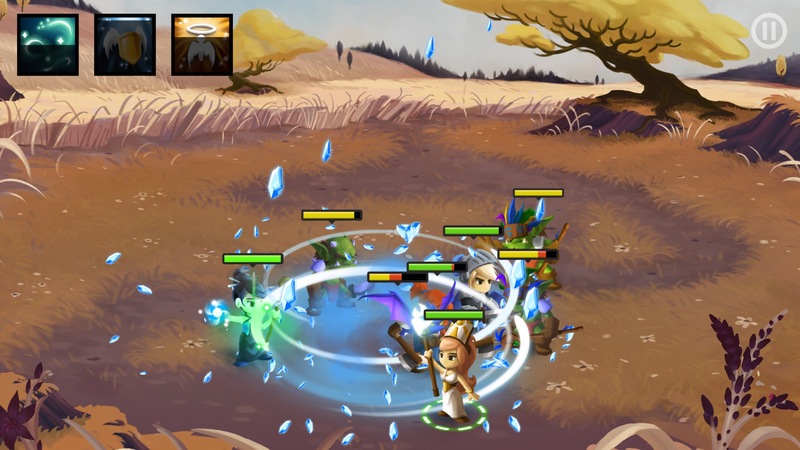 The original Battleheart ($2.99), released in 2011, was a great little light RPG that had just the right balance of action and strategy to keep players coming back for more. Whether you needed to kill a few minutes waiting for a bag of frozen peas to explode in the microwave or were trying to ignore your entire family during a massive Thanksgiving dinner event, Battleheart was there for you. The follow-up, Battleheart Legacy ($4.99), was a different sort of game that was also very good, but what if you were craving more of what the original game delivered? Okay, you can see the title of the article. Yes, Battleheart 2 ($3.99) is here, and yes, it is basically an expanded take on the first game with all the lovely pleasantries that come from being built for today’s hardware. 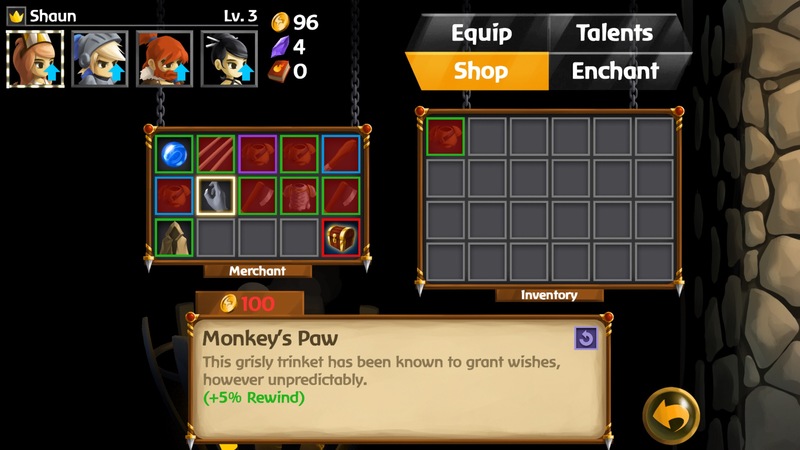 Now, that’s not to say that there haven’t been some changes or improvements made in Battleheart 2. There are a few key ways the game differs from the first, and I’ll go into those shortly. 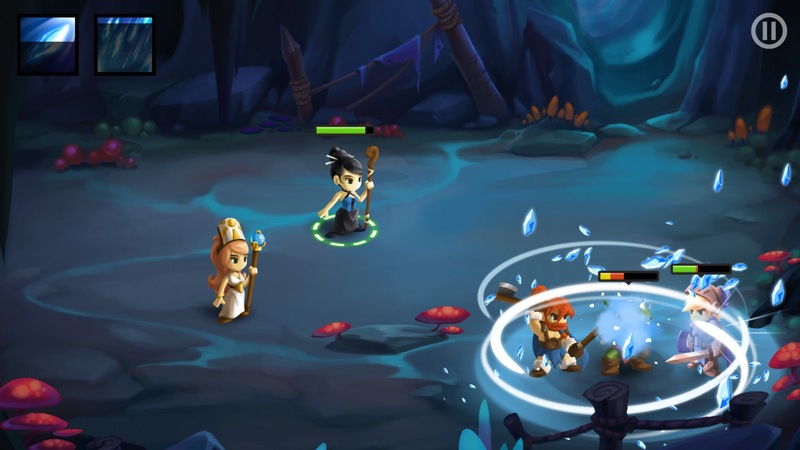 But it’s certainly safe to say that if you played the original Battleheart, you already have a pretty good idea of what to expect from this follow-up. You’ll put together a team of four characters from a varied selection of 12 different job classes, head into real-time battles against waves of enemies, drag your finger around a lot to give commands, and enjoy the spoils. As you fight battles, you’ll level up, earn gold that can be used to buy new gear, get new gear directly, or earn other resources that can be used to enhance your characters. Every so often, you’ll need to take down a big, burly boss to proceed. Beyond upgrading your team, there isn’t much going on between fights, so don’t come in here expecting a sweeping epic that will bring a tear to the eye of a teenager or anything. What you should expect is another humongous platter of real-time battles packed with tension and plenty of opportunities to make your own strategies. In fact, the battles themselves have barely changed at all from the original game. Waves of enemies will appear from the sides of the screen. To attack them, simply drag a line from one of your characters to your chosen opponent. To use healing magic or buffs, drag a line from the caster to the intended target. To use special skills, tap on the character, then hit the icon for the skill you want. If it needs a target and that character isn’t already targeting someone, just drag that line again. To move the character, simply tap on the character and, you guessed it, drag a line to wherever you want to move to. Characters will automatically attack nearby monsters if they can, so you don’t have to be completely precise when things heat up. The battle system is the heart and soul of the game, and it’s just as good here as it was in the first. The enemies tend to be a lot weaker than your party members, but they’ve got the numerical edge in many cases. Even when they don’t, not all of your party members are likely built to withstand direct combat. Casters are generally squishy, so if you’ve got two close-combat fighters and two magic-wielding support characters, you’re going to need to juggle things if even only three baddies show up to the party. And of course, it’s often quite a bit more than just three bad guys. Using your characters’ skills at the right time is one of the keys to success, as they need to cool down after you use them. Sure, you may want to spam that ice magic like there’s no tomorrow, but you may want to hang on to that skill that freezes an enemy in place in case something wicked this way comes. It can be tough at times, and if you don’t keep up on improving your characters, you might find yourself having trouble moving forward. And here, my friends, is where the RPG bits come into play. There are, broadly, speaking, four ways you can power your team up. The first is by gaining levels, which happens when you collect enough experience points. Instead of the first game’s system where each character had their own distinct level, here you have an overall party level. This is a very good thing, as it encourages players to try out different teams and doesn’t punish the player if a certain character keeps getting sacked just before the end of the battle. If one character survives, they’ll all reap the rewards. So if you want to try out a samurai instead of a berserker, do so without worry. No one has to catch up, and no one will fall behind. You don’t even have to unlock the other characters this time around. Have fun. Well, okay. That bit about no one being able to fall behind isn’t perfectly accurate. Let’s talk about the other ways you can upgrade your team. Coins are a great thing and can be exchanged for goods. Monsters carry them, and you will take them, because that’s how the world works. Rubbing the coins on yourself is not enough to make you more powerful, however, no matter how much Uncle Scrooge might believe it to be so. Instead, you need to bring those coins to the shop and exchange them for equipment. Some of it, like weapons and armor, is restricted to particular classes. Accessories, on the other hand, will fit anyone. Oh, certain effects are clearly better with some classes than others, but the game isn’t going to tell you no or where to go in this respect. Equipment will not only improve your stats, but it can also grant special effects like haste or HP regen. It’s good stuff. You want it. Maybe what you have isn’t quite giving you the punch you’re looking for, however. The shop carries a small and generally random assortment of items that changes between battles, so you may not be able to find the more powerful version of the thing you have, either. Do not fear! You can enchant any of your equipment to give it a little more kick. You’re going to need some crystals to do that, though, and the more powerful the piece you’re trying to improve is, the more it’s going to cost you. It’s pretty much the only way to spend those crystals, so it’s not like you need to save them for a rainy day or anything. Finally, there are your skills and talents. Each character comes with their first special skill unlocked. You can use skill points to unlock the other two, which then opens up a wide array of passive talents you can spend skill points on. If there’s a penalty for swapping characters anywhere, it’s here. I should be very clear that you can always grind more experience, gold, crystals, and skill points. Nothing will stop you from doing so, and you can even somewhat direct which resource you’d like to earn more of thanks to having a choice of battles to tackle. But there’s little doubt that swapping out a character that has a lot of skills unlocked for a fresh character is going to require you to invest a little time into the new kid. The mission select map is pretty nice. You’ll always have a choice of a few different missions to take on, with one being at the same level as your party, one being a little lower, and one being a little higher for the daredevils out there. The boss of each area has a fixed level, so you can take it on whenever you feel like you’re ready. You’ll also eventually unlock an Endless Arena where you can battle endless waves of bad guys and see just how far you can go. 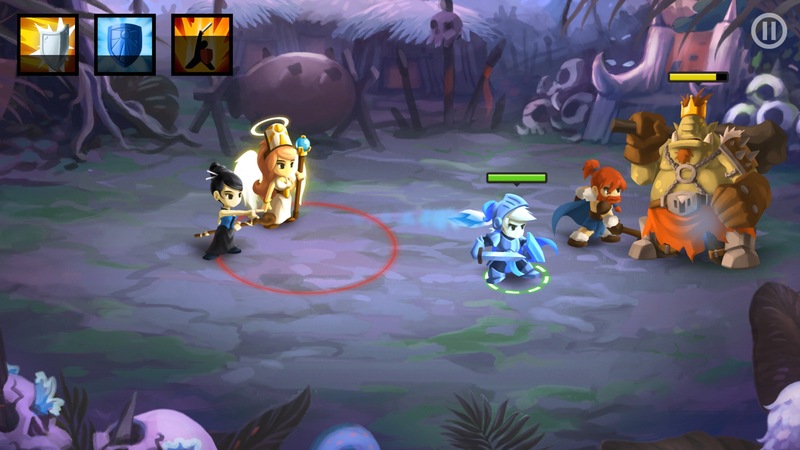 I really like the way Battleheart 2 does this compared to the first game. It makes it feel more like a world and less like a menu, all without losing any of the snappiness of the original. The mission select screen is just one of many ways where Battleheart 2 outdoes its predecessor when it comes to presentation. The visuals use the same style as the original game, but with far greater detail and richer colors. The backgrounds look wonderful, and there’s quite a variety of them. Enemies and characters alike benefit from better animations, and the big bosses really can be a sight to behold. 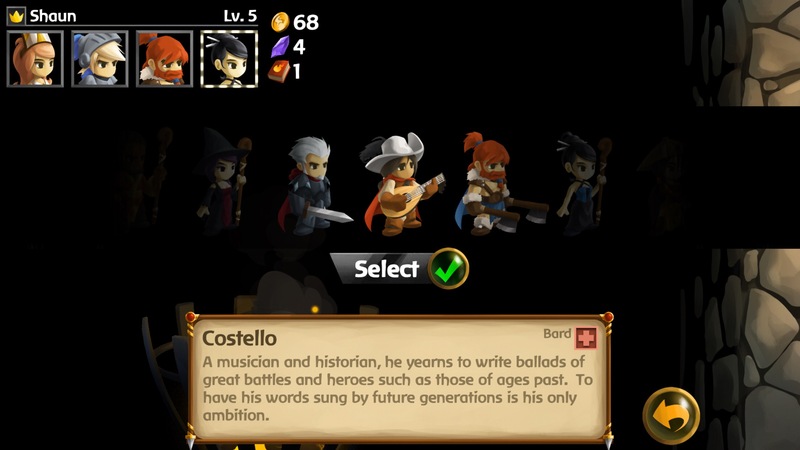 In general, the UI has been greatly improved over the original, but I do wish Mika Mobile had taken a page from some of the games that Battleheart inspired and added a way to select characters without tapping them directly. It can be hard to pull them apart when they get bunched together, and as the game gets more difficult, every second counts more and more. I suspect the developer didn’t want to clutter the play area with too many icons, but it leaves us with that same old problem from the first game. I haven’t even mentioned the multiplayer mode yet, which allows you to join up with up to three other players to enjoy a lovely bit of co-op monster mashing. It was a little buggy when I tested it out for this review, but I believe a patch is already on the way to address certain issues. To be honest, it’s not really something I anticipate I’ll be spending much time with, but it’s never a bad thing to have more options. In the end, its adherence to the original game is perhaps the worst sin that Battleheart 2 commits, and it’s not much of a sin at all. The game is the safe sequel to Battleheart that the many players who fell in love with the first have wanted all along. Its changes are entirely for the better, and they’re all sensible things that never threaten the core that worked so well before. It’s a much longer, more robust game with a lot more to play around with on the whole. Best of all, it’s just a single up-front payment to enjoy it all. This game could have easily been made into a free-to-play game with all kinds of stuff to buy with real money. Mika Mobile didn’t go that route, and it just makes this tasty bowl of comfort food all the more comfortable.